Earlier this year I read The Vineyard by Maria Duenas and thoroughly enjoyed this story that takes us from Mexico City to Cuba and Spain in the 1860’s. This one may have been a little under the radar, but if you love Kate Morton, check out The Vineyard. I’ve been working at Page and Palette for over 8 years, and I always enjoy getting to meet people from all walks of life who come through our doors. 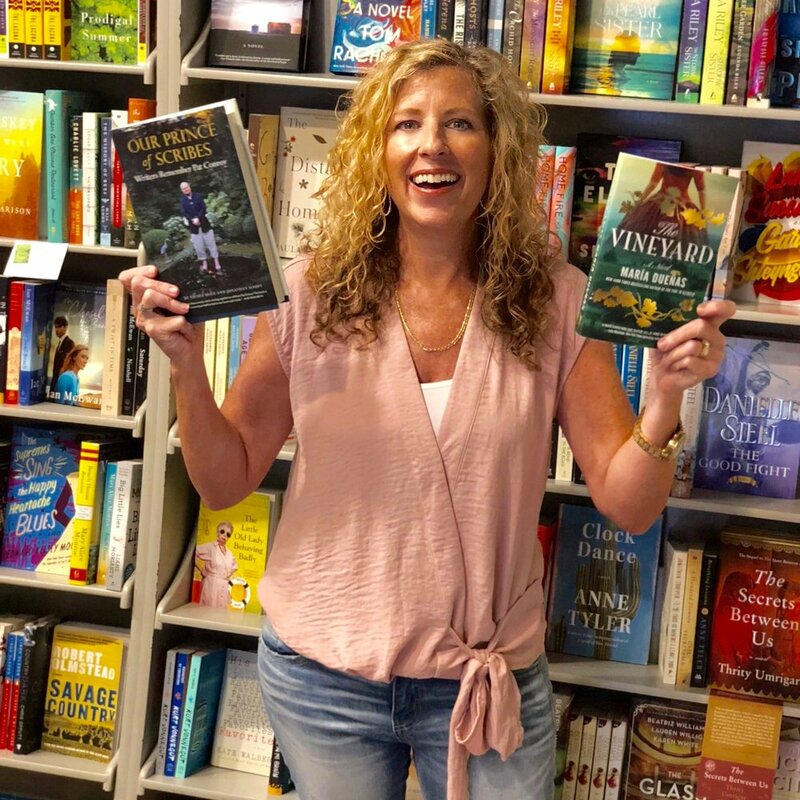 Because there aren’t many independent bookstores left, our customers are usually so excited to be here, and many make a special trip to Fairhope just to come to the bookstore! When I’m not at the store, my husband and I enjoy traveling, and usually have some kind of trip on the calendar. We enjoy visiting our daughter Savannah in Pensacola and our son Hunter in NYC. The beach is also a favorite destination, and we go as often as we can. I guess it also goes without saying that I love to read in my spare time!